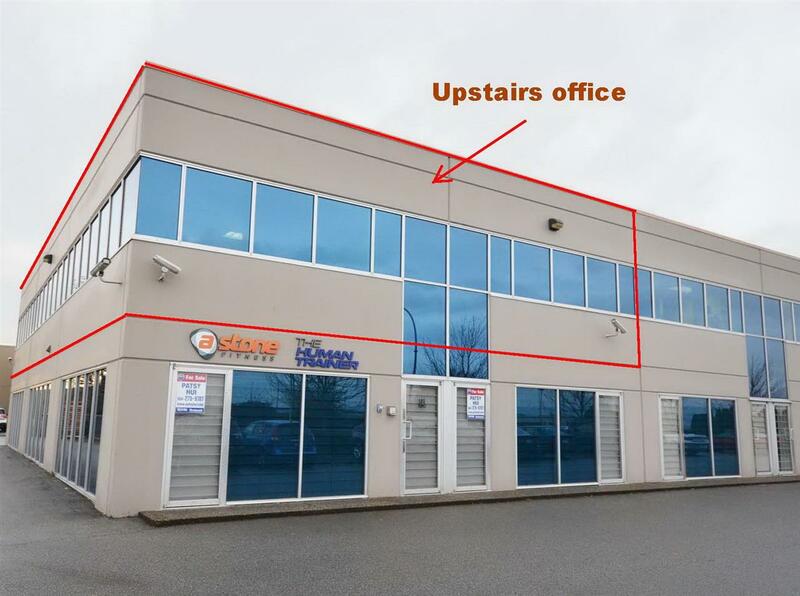 2,880 sq ft upstairs office in “Maycrest Business Centre”. Good looking strata-titled industrial unit fronting onto No. 6 Road, at the entrance/exit junction of Highway 91. Lots of street parking & bus stop in front. Excellent location with high exposure for BRANDING, and only minutes to Richmond Centre, Airport, 15 minutes to Vancouver, New Westminster, North Delta, Surrey. HVAC, washrooms. IB1 (Industrial Business Park 1) zoned.